The new podcasting studio is completed. 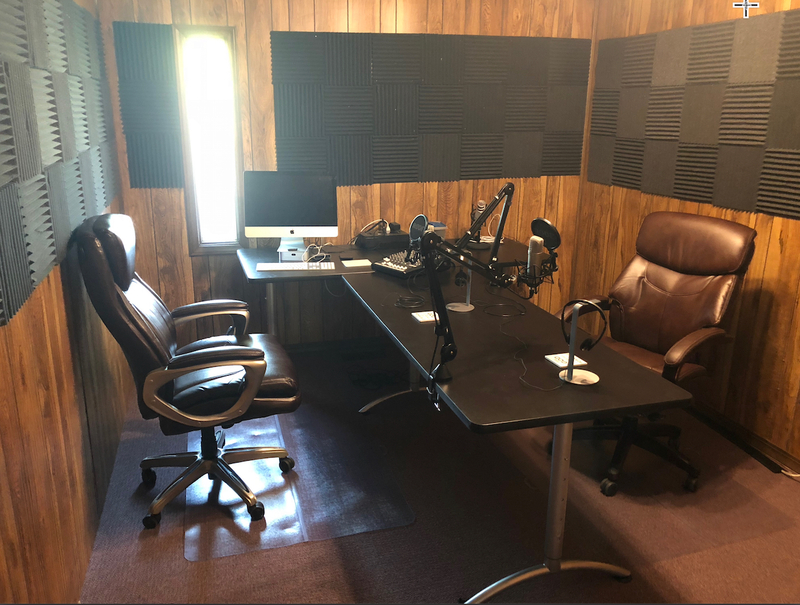 Its the only room in our new building that is done, but now we can begin recording podcasts again. We have had many setbacks and unexpected (and costly) repairs, and over a month of 12 to 14 hour days of drywalling, painting, preparing, and moving. We hope to have all the basics completed in a couple of weeks. Then, Mary will be turned loose to decorate the TV studios, kitchen while I unpack and set up our offices. I want to thank everyone for their prayers and love gifts. Without our partners, none of this would have been possible! Once everything is completed in the new building, we will be sharing photos with you.